The third annual Delta Jazz Workshop is almost upon us. An article about the workshop was published in the South Delta Leader last Friday. Thanks to Chris Bryan for writing about us. 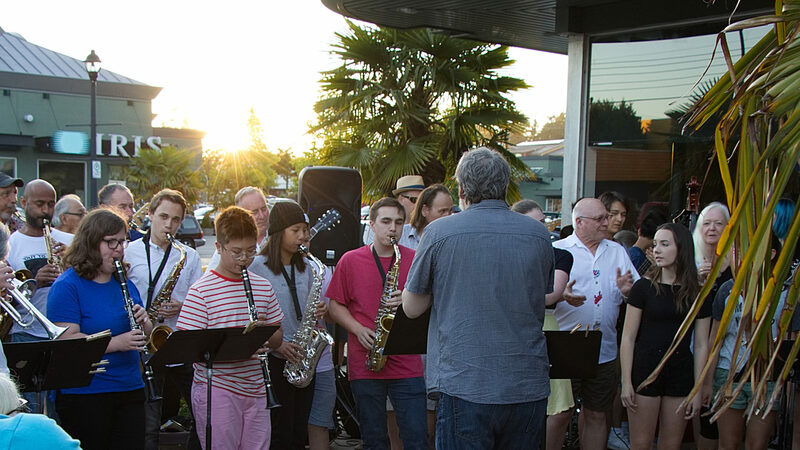 Our first event is the outdoor concert this Sunday July 2 at Diefenbaker Park (56th St. at 1st Ave. in Tsawwassen). This concert features local musicians and bands from the Delta area. We still need volunteers to help with this event. If you are a jazz fan and are able to come and help out please contact Jamie. Thanks to Delta Parks and Rec for helping us make this event possible.